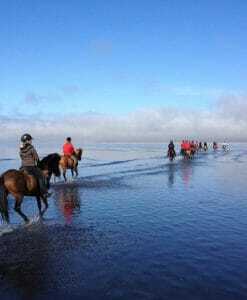 Our long day tours are from 2 days up to 15 days long, these tours are all around the country and they also include a local guide that will travel with you. 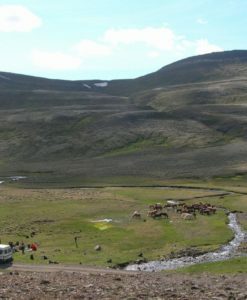 Accommodations are included in most of our tours! 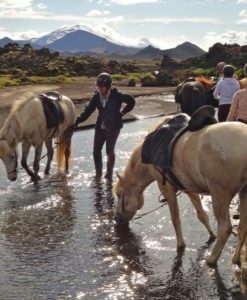 Through lava fields and along hillsides we ride down to the shore and continue our ride on the beach. 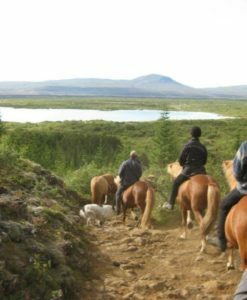 This traditional trail, offers horses and riders great opportunities to perform the smooth gait “tölt” over long distances. 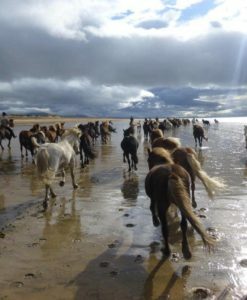 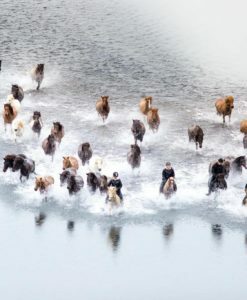 This tour was nominated by CNNgo as one of the greatest horse treks in the world! 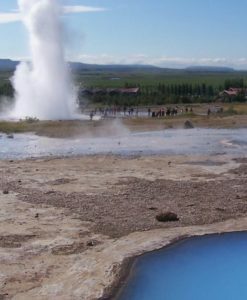 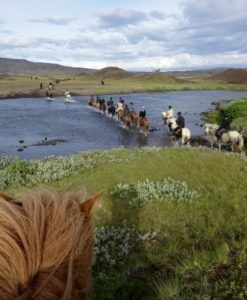 There is no better way to visit the hot springs area of Geysir and the Golden Waterfall,Gullfoss,than by riding through the lovely countryside of Iceland. 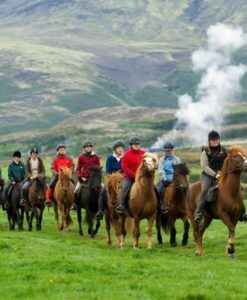 This tour was nominated by the Sunday times as one of the 10 best trails in the world. 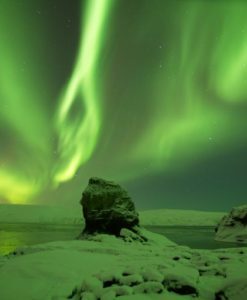 Explore the wonders of lake Mývatn and Europe’s largest waterfall, Dettifoss! 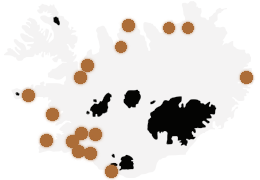 Wonders of Lake Mývatn. 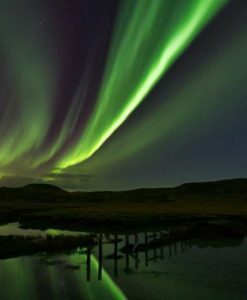 Horseriding and relaxing in the geothermal water, underneath the Icelandic winter sky ablaze with dazzling stars and the dancing Aurora Borealis. 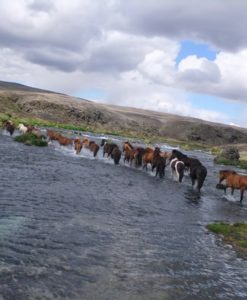 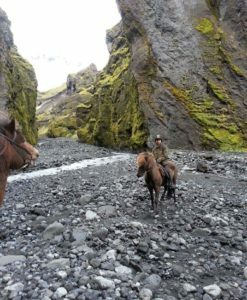 Across Iceland's western highlands on horseback in spectacular nature and unique historical sites! 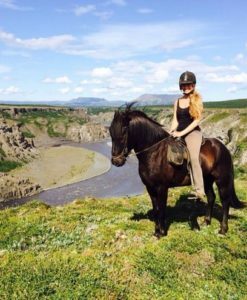 Thorsmörk nature reserve is the hiker's paradise and you will get the chance to ride in this wonderland of nature. 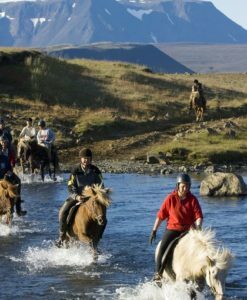 Horseback riding in the spectacular area, on this exciting tour we see the mountain Hekla towering over the region and every day we see evidence of its numerous devastating eruptions throughout the ages. 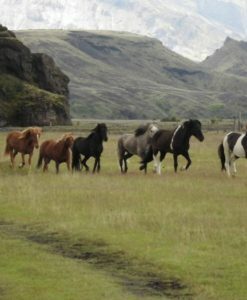 The beautiful Þjórsárdalur, this four-day tour is comfortable for most people that have some experience of horseback riding.